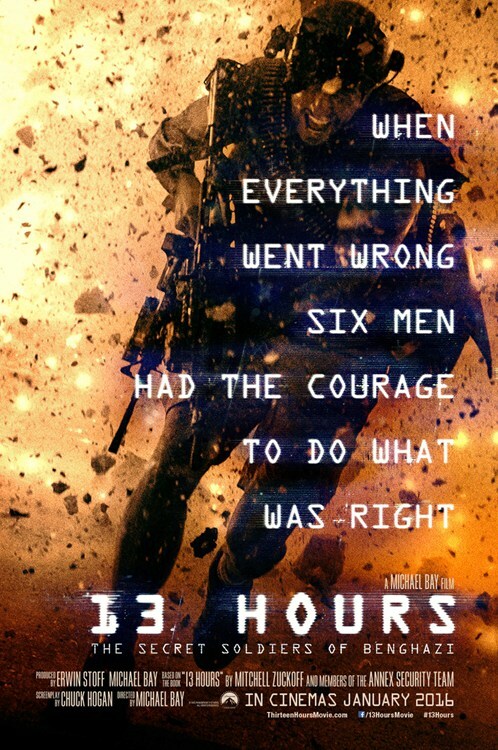 13 HOURS: THE SECRET SOLDIERS OF BENGHAZI Movie Synopsis : On the eleventh anniversary of the September 11 attacks, a group of Islamist militants attack the American diplomatic compound and a nearby CIA Annex in Benghazi, Libya. Four Americans including US Ambassador J. Christopher Stevens are killed during the attack. A security team of six members is formed and sent to defend the remaining American survivors.